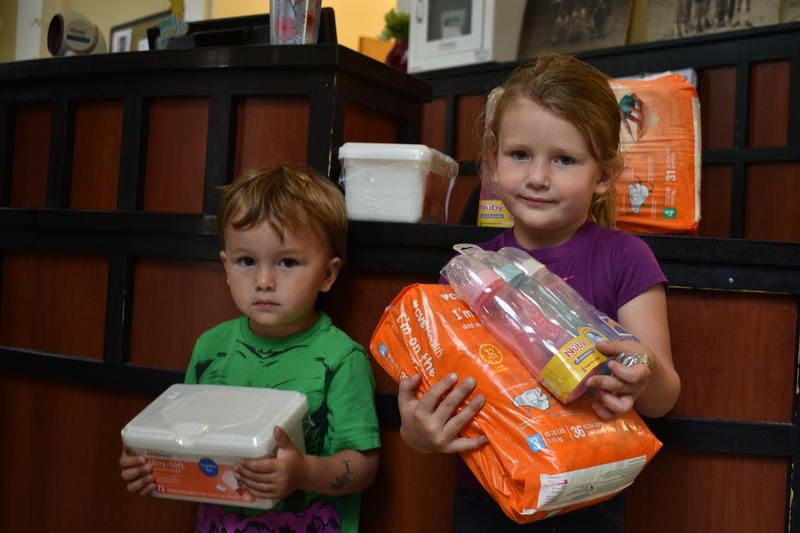 Grace and Callan McDonald were the first to donate to Houston, Texas at the Nazzaro Community Center. #HelpForHouston donations will be accepted at City Hall until 12:00 p.m. on Friday 9/1, then boxed and loaded on to trucks. Items most needed are baby diapers, formula and cleaning supplies. Trucks will leave as soon as all items are loaded. Though Boston is only collecting items through Sept. 1st, there are other ways to donate to those affected in Houston, Texas. Mayor of Houston, Sylvester Turner, has set up a relief fund for the victims of Hurricane Harvey. To donate to the fund, head to The Greater Houston Community Foundation website. Another option is to give blood to the American Red Cross. More information here. For more information, head to Boston.gov or the Greater Houston Community Foundation.